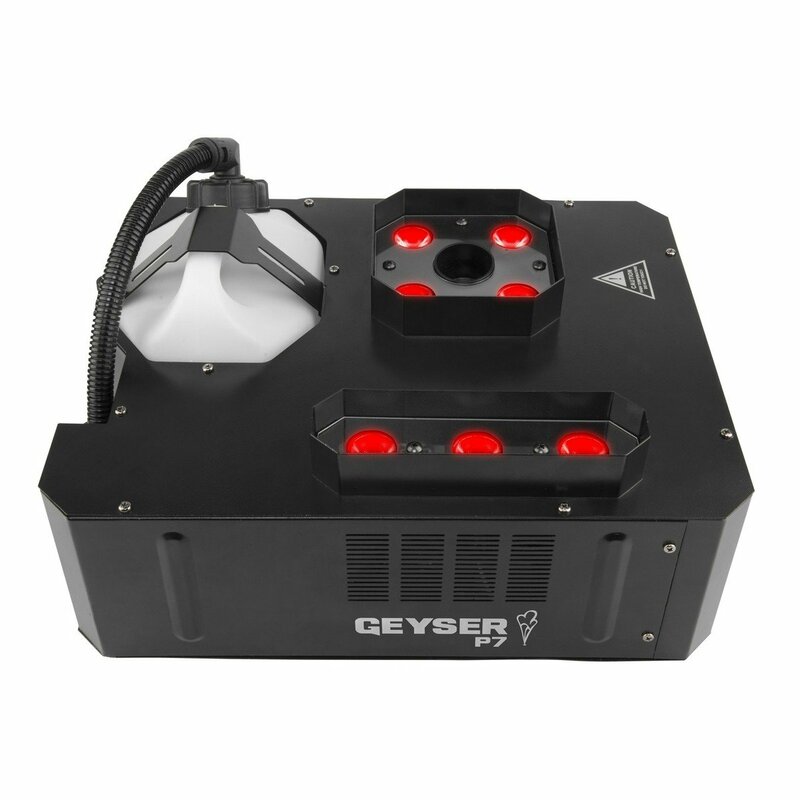 Geyser P7 is a dynamic pyrotechnic-like effect that creates thrilling bursts of fog lit with seven 9-watt penta-color (RGBA+UV) LEDs for endless color capabilities. Two LED zones can create two-tone bursts of fog without the use of any toxic chemicals, fire or heavy CO2 canisters. Control the unit from the built-in DMX or the included Geyser wireless remote and assign different colors to each of the remote’s buttons. The onboard digital display allows for easy configuration even in fast-paced or dark environments.